Is your Christmas tree this year sadly lacking in the area of sheer, pants-wetting terror? 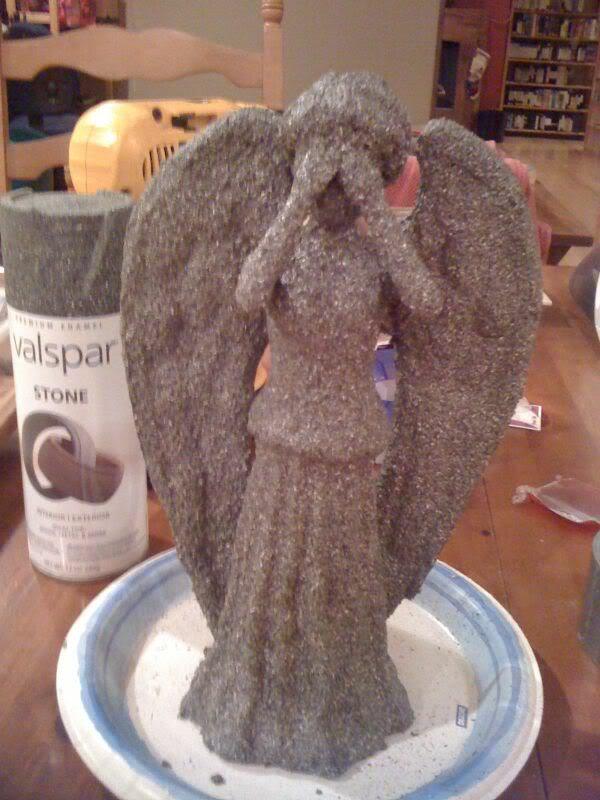 You can rectify this by making your own weeping angel tree topper from Doctor Who! tardis_tara, who I can only assume is some sort of goddess of creativity, posted fantastic instructions on making a weeping angel tree topper at crafty_tardis. She used a cheapie crafting doll, foam, epoxy and Valspar stone spray paint to produce this truly amazing creation. Aren't you dying to make your own? After all, there's nothing finer than gathering around the ol' Christmas tree with your family on Christmas Eve ... and trying desperately not to blink. Thanks to bookwench for finding this!